Free and open to the public! Register by calling 305-285-2929 to receive your free photo with bunny and one free snow cone per child. 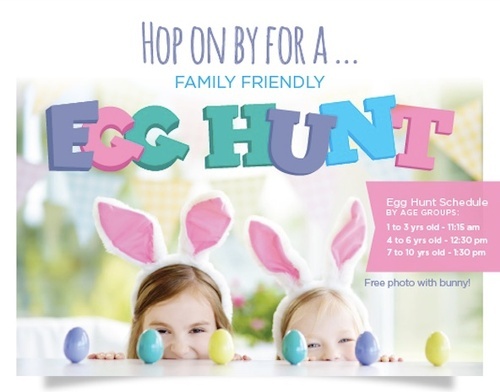 Hop on over to Mercy Hospital for a fun Egg Hunt by the bay. This family friendly event will feature a petting zoo, pony rides, train rides, face painting and bunny crafts. Egg hunt times will be separated by age group. Food will be available for purchase. Don't forget to bring your baskets!